Sony today announced the arrival of the newest addition to the VAIO family: the VAIO W series. It’s a charming mini notebook with a stunning wide screen that brings a refreshing splash of colour and fun to this hot vacation season. Chill out this summer in style and dive into your online network to catch up with all your new and old friends. This summer, you can make the most of your time with the new VAIO W-series and get up to date with that long list of friends on your Facebook page. Pick up this chic mini notebook, and you can catch your friends’ attention and catch up with the latest news all the while you’re catching the sun. It comes in three dazzling colours – sugar white, berry pink and cocoa brown. Enjoy the VAIO W-series on a leisurely afternoon, perhaps in your garden or on your balcony, to check out what your friends on the other side of the cyber space are up to. The compactness and rounded contours of the VAIO Mini makes it easy to carry around. Grab a blanket, cushion and refreshments, wherever you decide to get comfortable and get connected at home. Its stunning screen makes a world of difference to your web experience. The screen’s bright and vibrant colours deliver your friends’ and your own photos and videos in all the beauty that they deserve. The VAIO Mini comes in handy anytime and sits beautifully anywhere in the house. While watching TV or reading a magazine, you’ve probably experienced the urge to look up something on the Internet that you’ve just seen or read but couldn’t be bothered getting up to your desktop PC. With the VAIO W-series at hand, you can browse the web and search that info or YouTube clip that you’re looking for while still sitting comfortably on your sofa. While the screen is 10.1-inches, thanks to its high resolution (1366 x 768) and 16:9 widescreen, your web browsing experience is optimised, cutting out the need to scroll side ways. With its head-turning style, portabilty, and colour matched carrying case, this is one stylish accessory you’d be happy to be seen with. Meet up with friends at your favourite café, if not physically, then virtually from a hot spot. Do emails and instant messaging without your fingers feeling cramped thanks to the well-spaced and responsive keys. The dimpled palm rest resists stains and finger prints. A subtle yet special designer’s touch to the VAIO Mini’s sophisticated style is the classy pattern on the touch pad. Tactile and visually appealing, your finger glides across the pad. 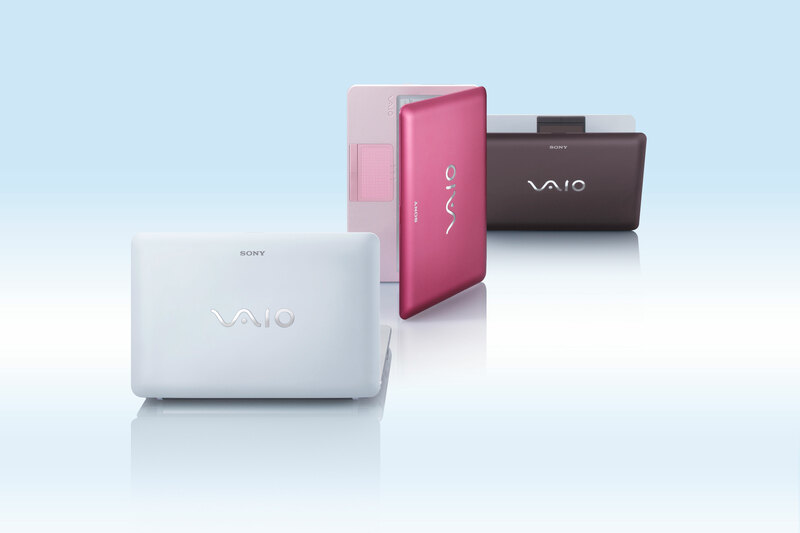 At night, take the VAIO W-series with you to your room. Before you go to bed there’s often something you want to check – for instance the weather for the next day. And the built-in webcam and microphone makes it easy for you to video chat anywhere in the house. It’s convenient that you can video chat from the comfort of your bed, bean bag or wherever you happen to be and not glued to your desk. 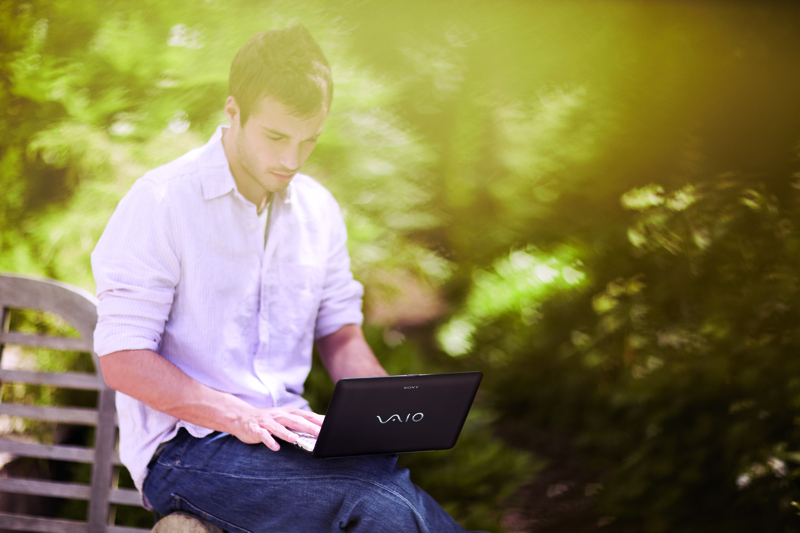 So make your summer a dazzling experience with the new VAIO Mini W-series. It includes features such as Intel® Atom™ Processor N280, 160GB hard disk drive, 1GB RAM and Windows XP. While the range will be available in the UK, France, Germany, Austria, Italy, Spain and Russia from mid August, it is also available online for pre-order from Sony Style Store.